A Guide to Self-Care for People with Anxiety – Let's Queer Things Up! Holy anxiety, batman. If there’s one thing readers want to hear more about, it’s my experiences with anxiety — namely, how I cope with it. It seems like a lot of us are still trying to navigate this tricky condition. Therapy and medication can help, but a lot of how I manage my anxiety is based on a regular, consistent practice of self-care. I think that self-care — defined as intentional actions taken to improve one’s sense of well-being — has made a significant difference in my overall mood, and has been especially helpful in dealing with my anxiety. While the ups and downs that come with anxiety are not always within our control, there are a lot of things we can do to impact our mood and make the wave a little easier to ride. It’s not about getting rid of anxiety altogether — it’s about changing the way we respond to anxiety to lessen the impact. Step 1: ENGAGE with what’s making you anxious. Okay, so your gut is probably telling you to run for the hills. Engaging with what’s making you anxious is probably the LAST thing you want to do. I know that my personal tendency is to avoid what makes me anxious. But often times, we need to engage with our anxiety, because avoidance can make it worse. A great way to do this is to write down what’s making you anxious in one column, and on the other column, write one thing you could do to make this situation less stressful or more manageable. I’m anxious about writing my annotations paper. – I could read over the handouts to get a better idea of how to complete the assignment. I’m anxious about taking the train to Walnut Creek. – I could listen to music on the train or ask a friend to go with me. Most of the time, the steps I come up with are reasonable and helpful. Part of what makes me freak out is feeling that I have no control or ability to impact the situation — but when I write down steps that I can take, I feel as though I have a little more agency. But if there’s a problem and I can’t figure out any steps to take, I know that it’s probably time to seek out a therapist, counselor, healer, or trusted friend to brainstorm some solutions. Once I’ve written out what’s making me anxious and I’ve come up with one idea that could, at the very least, make things a little easier, I take my notebook and I put it aside. I then move onto the next step. Step 2: DISTRACT yourself and give yourself a break. For me, I know that once I’ve engaged with my anxiety, I need a break so I can steady myself. Once I’ve put the notebook on my bookshelf, I start looking for some healthy distractions to stabilize my mood. What works for me may be different than what works for you. I like to watch something that will make me laugh on Netflix. 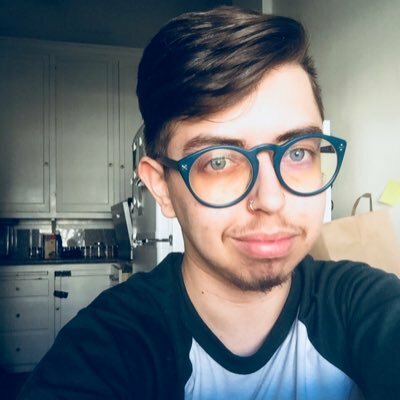 I also like to play Nintendo, particularly games that are less action-based and aren’t particularly demanding (in case you’re wondering, this includes Mario Party, Animal Crossing, and a variety of puzzle games). I like to read a fantasy novel, or color in a coloring book, or bake a new recipe. My favorite distractions will transport me to a new reality (television, video games, books), particularly if it involves roleplaying (which is why I pick up the Nintendo most often). I especially like distractions that utilize my imagination because they seem to distract me the most. The key is to find things that are distracting without any triggers. I find that the internet is full of triggers for me, so I tend to avoid it when I’m taking care of myself. We should always be looking for healthy distractions — activities that bring you down a notch — instead of unhealthy distractions, which may numb you for a moment but create more stress or consequences down the line. Step 3: RELAX in a calming environment. Hold on. What’s the difference between a distraction and something that relaxes? Distractions are things that take me out of my head, out of my body, and neutralize my mood. Relaxing, on the other hand, will place me back in my body, and help me to feel good again. After I’ve distracted myself enough, I seek out a relaxing activity that engages my body. For some folks, it’s a guided meditation while they’re laying in bed, and for others, it’s a stroll through their favorite bookstore or park. Visualize a place that makes you feel safe, and imagine something soothing that you could do in that space. Find something that makes your body feel less heavy — something that involves good smells, good tastes, good feelings. Decide if that place is indoors or outdoors, at home or away. Decide if it involves people or if it’s something you do by yourself. I’ve learned overtime that my safe space is a hot shower, maybe with cinnamon incense burning or my favorite soap from LUSH. Why distract before relaxing? If I’m too anxious and I just jump in the shower, I spend more time thinking about what I’m anxious about than actually relaxing in the space. I need to bring the stakes down a little bit before I can actually relax. Distractions get me to a more neutral place so I can actually relax when it’s time to do so. Your self-care regimen will probably look different from mine. But once you figure out what distracts you and what relaxes you, be sure to write it down to remember later on. Step 4: If needed, REACH OUT for support. If you haven’t already, it might be a good idea to seek out support from a friend, a loved one, a therapist, a healer. Simply going it alone is not always an effective way of caring for ourselves, and we often need the support of others to manage our anxiety. When you’re asking for someone’s support or help, I recommend being upfront and using an “I feel and I need” statement to directly communicate your needs. I felt so anxious earlier, and I need someone to listen. Can we talk? I feel so paranoid right now, and I might need a new dose on this medication. Can we make an appointment? I feel really stressed about this assignment and need some clarity. Can you help me understand it better? I feel depressed, and I might need a therapist. Can you recommend one? Articulating what you’re feeling, what you need, and a concrete step that you can take together can help make the conversation a productive one. Remember that people are not mind-readers, and the best way to getting what you need is to ask for it. By asking the person if they can help, you also ensure that they are not taking on a stress that they can’t handle. You’re giving them permission to opt in, or opt out. If you aren’t sure what you’re feeling or what you need, you can also say so. “I’m not sure what I’m feeling right now and I’m not sure what I need right now, but I thought that we could talk.” We can’t always articulate our anxiety, but talking through it with someone can still be helpful. After I’ve gotten some support, I move onto the last step. Step 5: REVISIT your list. Remember the list of stressful stuff that we created at Step 1? When you’re able to, it’s a good idea to return to that list. Sometimes anxiety comes from feeling overwhelmed, so commit to doing just one, maybe two things on that list. I recommend starting with the easiest thing on the list to get you going. Sometimes starting is the hardest part. It’s important to take things one step at a time. Commit to just a few steps, and see what happens. You may find that after you get going, you feel motivated to take on more. That’s great! But if not, doing just one or two things at a time will hopefully lessen the anxiety that you felt in the beginning. 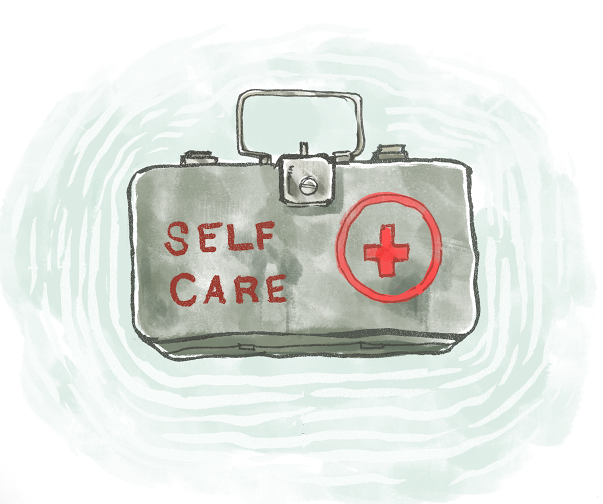 A lot of folks think of self-care as a way of dealing with stress after we’ve reached our limit. However, I disagree. It should not be exclusively a crisis resource, but something that we practice regularly. I do a little distracting and relaxing every single day. I set aside an hour or so to make sure that I’m taking care of myself. If you don’t have the time, make the time. You wouldn’t wait until your house is flooded before fixing a simple leak, right? Our bodies and our minds undergo a lot of wear and tear, because life, my friends, can be very stressful. So do the maintenance instead of waiting for life to blow up in your face; nurture yourself and care for yourself each and every day. Why? Because you, without a doubt, are worth it. o have a plan in place, for some sense of control. One of my therapists suggested I communicate with my anxiety, ask what it was trying to tell me, that it was a signal to me. So, I try, when I feel anxious, to acknowledge it rather than run. I let it know that I know it’s there and trying to tell me something, and that it’s ok, but that I don’t have time for it to get in the way. Sometimes, this works. And mindless comedy, too! Great article about self-care and can even be used without anxiety. I especially like the distinction between distraction and relaxation. What are nonbinary and cisbinary?